To help you: 100mm = 4 inches. See our Mexican Crazy Lace Agate. 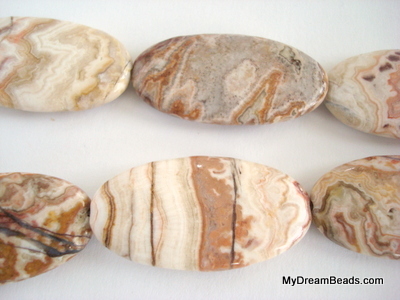 This is a beautifully polished stone – smooth and finely crafted. This strand has beads that are 20 x 40mm.